available in adult, ladies and childrens sizes. The original artwork was created to highlight the urgent issues affecting the world’s oceans. 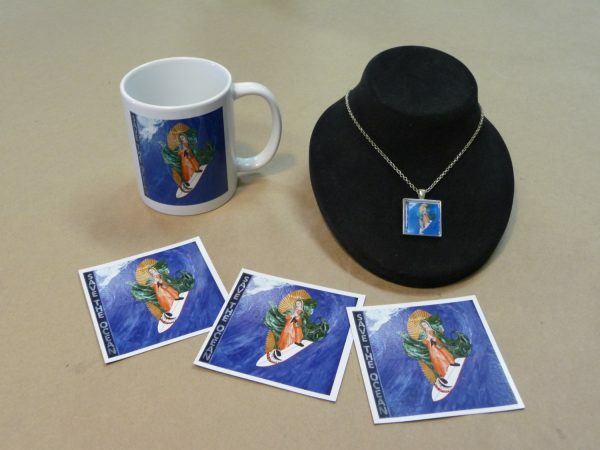 Donations have been made to the Surfing Madonna Oceans Project with the sale of Surfing Madonna items.